The man with a distinctive style and creativity behind many of the major P-Funk hits. This multi-platinum selling artist in his own right is the person that some of the biggest names in the history of “Modern Music” has turned to for inspiration. “I’d Rather Be With You”, co-written by Mudbone and originally recorded with Bootsy Collins for Bootsy’s Rubber Band, happens to be one of Mudbone’s biggest selling records, and one of the most sampled songs of all times. This song has been used by the likes of Dr Dre, NWA, Beyoncé Knowles album “Dangerously in Love”, Snoop Dogg in the film “Baby Boy”, Sugababes, Adina Howard in “Freak Like Me”, Leela James and countless others, proving to be a milestone in the history of Funk and R&B music, and a major cornerstone in Hip Hop. His amazing skills lead him to deliver the classic (drumbeat and backing vocals) on the mega George Clinton, P-Funk hit “Atomic Dog” setting new standards for countless rappers and hip hoppers including Dr Dre and Snoop Dogg’s “What’s My Name”, to name a few. “Let’s Go All The Way,” the debut album and single from Sly Fox (written and performed by Mudbone), (Produced by Platinum Vibe Productions), was a straight up multi-million seller that also ignited the Rap hit by The Boogie Boys titled “A Fly Girl” which used bass and drum fragments from his “Let’s Go All The Way”. It was so far ahead of its time that even today the song is still sampled, remade by artists like Insane Clown Posse, British Pop star Robbie Williams, and the Wondergirls. Was also used in the movie sound tracks for “Iron Man 3” and the popular video game known as “Grand Theft Auto 5” (Sept.2014-Jan.2015), leaving many wondering how those sounds were ever created. 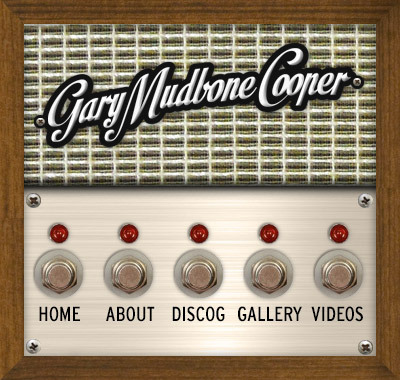 Mudbone has collaborated with many of the world’s leading artists, including Mick Jagger, Keith Richards, Prince, Babyface, Mutume, Dave Stewart, Annie Lennox, Bob Dylan, Bono (U2), Brian May (Queen), Jimmy Cliff, Bill Laswell, The Ramones, Jack Bruce & Ginger Baker of Cream, Roger and Zapp, Roy Ayers, and the list goes on. He co-wrote “Freedom’s Coming” with Dave Stewart (of Eurythmics fame) to raise money for the Nelson Mandela Foundation for the fight against HIV/AIDS in South Africa.